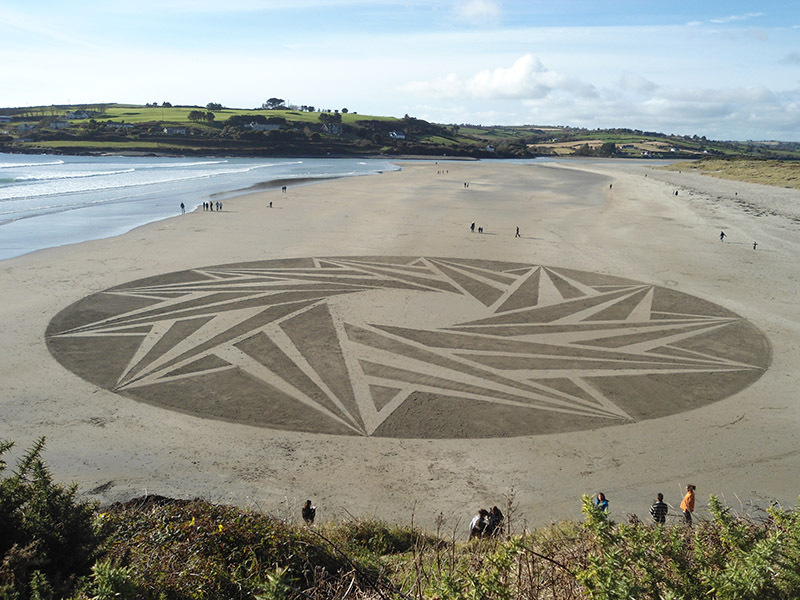 Welcome to the West Cork Sand Circles website. A website for all those who create and admire sand circles. If you are unfamiliar with sand circles we suggest looking at the galleries. Sand circles are essentially crop circles created in the sand, usually damp beach sand but it is possible on many other surfaces. Creating sand circles is usually a very fun and engaging group activity, and a great excuse to get out into the fresh air! Sand circles are perfect for bringing together both the logical and artistic sides of us. Check out the latest galleries! Are you involved in sand circles? Join the community and share!